The KÃƒÆ’Ã‚Â¤rcher 3-in-1 stone cleaner has a unique 3-in-1 formula for outstanding cleaning performance. This stone cleaning detergent has an active dirt remover, a protective formula to keep stone cleaner for longer, and wind and weather protection. 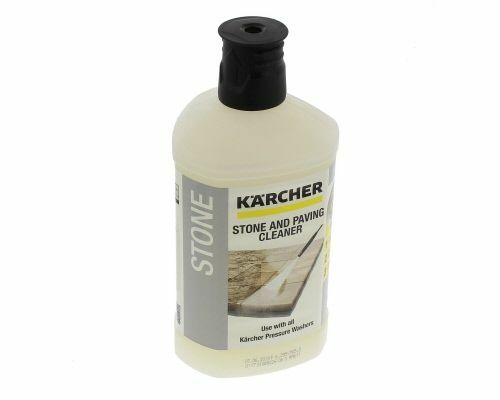 The KÃƒÆ’Ã‚Â¤rcher stone cleaner offers you outstanding cleaning efficiency, care and protection in one step. This product can be used on stone patios, walls and facades all around the house and garden. Suitable for K2-K7 model Pressure Washers.